An idea I ended up disliking. Publishing it anyway, each to there own, someone may enjoy it. 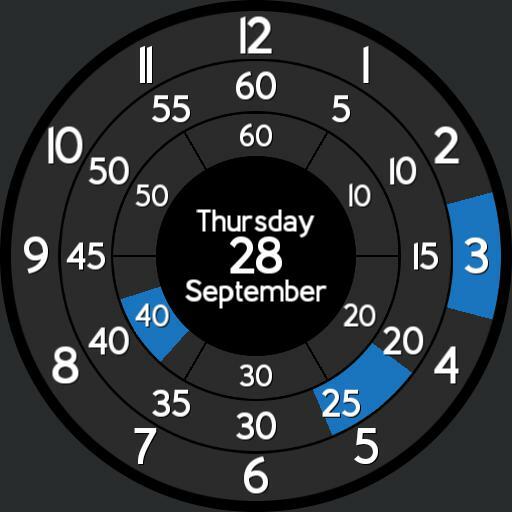 Simple rotating time. Seconds turns into watch battery in dim.